Annual presentation of the company's profile in the Business Directory in the selected language version. 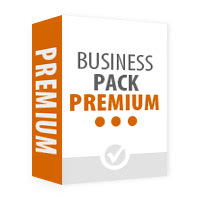 Business Premium entry provides the widest form of presentation in the Business Directory, at the same time acting as an independent website. Both the company's profile and the published B2B offers are the highest positioned in the portal.